When an image is taken with a digital camera, data is sent to the memory card. This data must be interpreted, or processed, to show us the image that the data represents. One interpretation of the data is done by the camera itself as a version of the image is shown on the LCD screen. But there are many ways to interpret the data, beyond what the camera itself produces. Each digital image can be processed further or differently by various software programs. This is called post-processing since it occurs after the image is captured. At the time of capture, the image shown was not inspiring. The initial interpretation of this image lacked color saturation and visibility of some of the interesting detail in the sandstone rock. 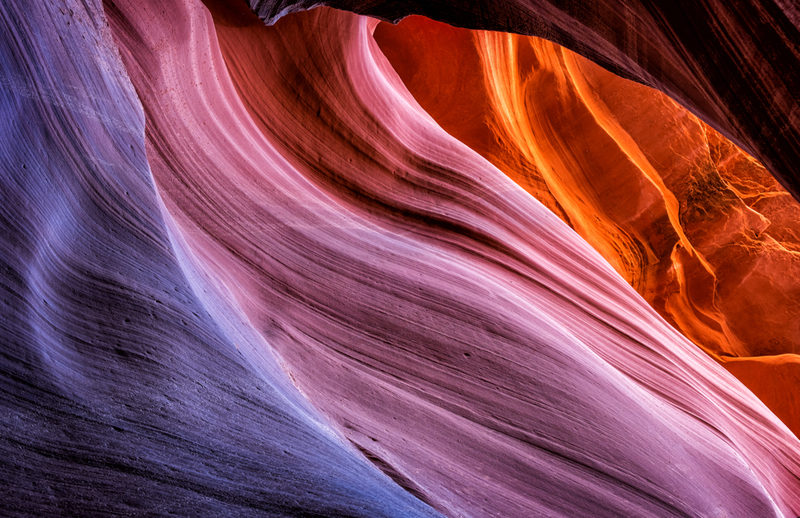 But with the magic of post-processing techniques, the image from the Lower Antelope Canyon comes alive and is bold and beautiful. Our time on earth is also a time of post-processing for the spirit within us. God sent us here with inherent beauty, talents and capacities. Initially, we may not appreciate some of the hidden gems within our souls. But God has placed us on earth where we can be post-processed to bring out the very best that is within each of us. This spiritual post-processing takes time and the experiences of life that make it possible are sometimes painful. But the final version of each of us can be bold and beautiful, beyond what we can even comprehend. May we stay close to the Lord and trust Him, the master post-processor, to help make us glorious. Beautiful. I’ve never seen anything like this! Lovely! This was amazing. I want to send it on to our missionary grandson!